Rick that is a great clip remember seeing it posted here some time back. "Solo guitar recording for Black Coffee from the Rumblebees (Mike Himelstein) 2002 album, Public Fool From A Public School"
omg, that should definitely be on one of Joe's albums. 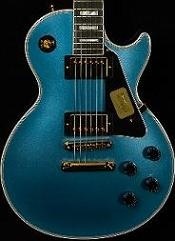 That is some great Blues. I just watched about 4 of them....Great Stuff ! stumbled across this old thread. Bringing it back up to see if maybe David has subscribed to it and might see this. Wish I knew where David was!!!! My Lord, he can play!